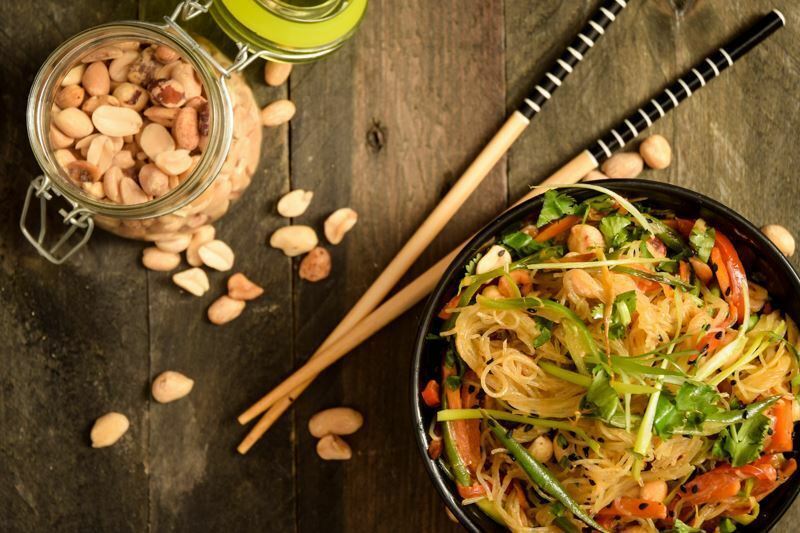 Pad Thai is one of the most popular Asian dishes in the world, and it's no wonder why. 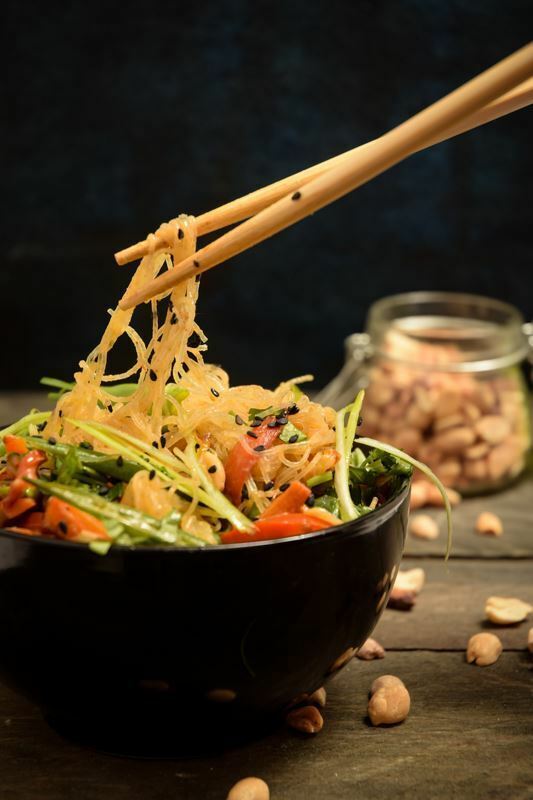 The stir-fried noodles have a delightfully chewy texture that you can't find in anything else, which is complemented perfectly by the crunch of chopped peanuts. This dish's distinctive Thai flavor earned it a top spot on CNN's list of the most delicious foods in the world in 2011. 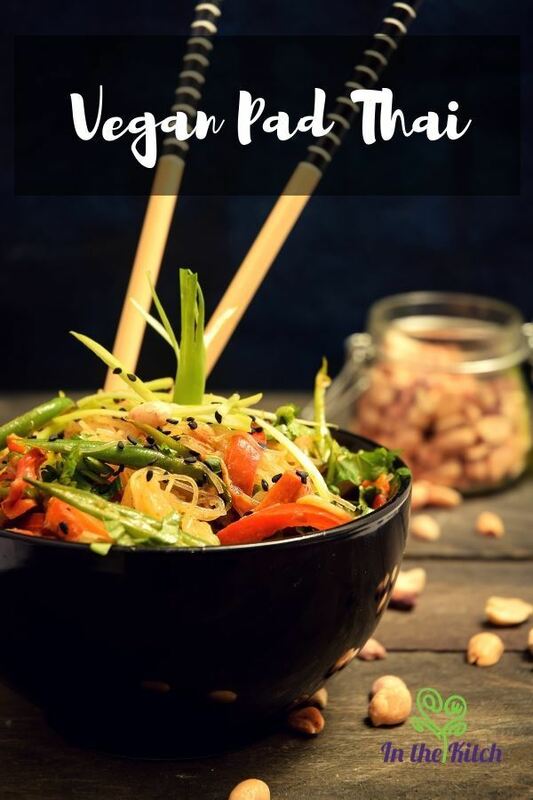 Unfortunately, the Pad Thai you find at restaurants is typically not vegan or even vegetarian, even though it is traditionally topped with tofu. Common ingredients include fish sauce, eggs, and shrimp. Luckily, it is so easy to sub these things out to make a Vegan Pad Thai. The result is just as flavorful as the original. 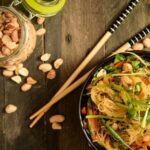 Pad Thai is one of those non-vegan comfort foods that can be converted into a plant-based delight with just a few tweaks. 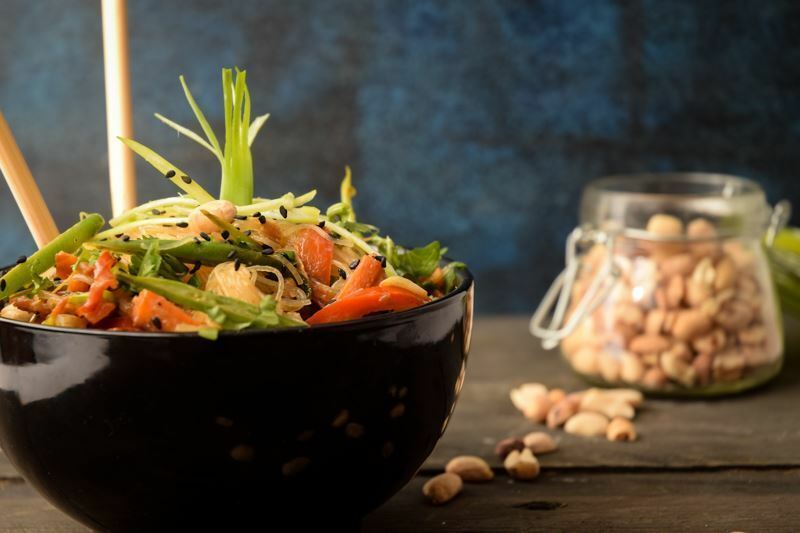 This recipe shows just how simple it is to make vegan Pad Thai. 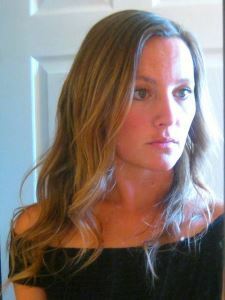 With only fifteen minutes of prep time, it is quick and easy. Put the noodles in a large bowl and cover with very hot water. Let them soak for 3 minutes. Drain the noodles in a colander, shaking off any excess water. 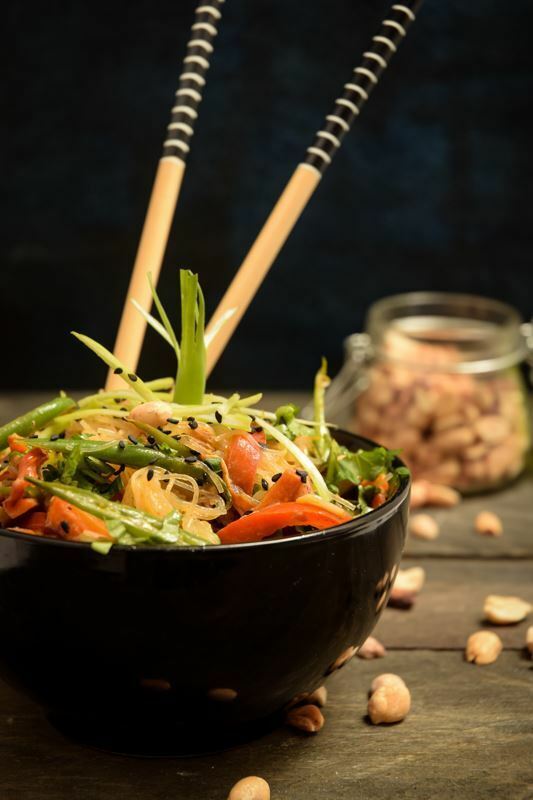 In a large nonstick wok or skillet, heat the sesame oil. Add the garlic, ginger and all of the veggies (except for the scallions) and cook over high heat, stirring occasionally until lightly browned (about 5 minutes). Add the noodles and stir-fry until heated through, about 2 minutes. Add the coconut milk, peanuts, curry powder, salt and pepper and cook until the noodles are evenly coated and the sauce has thickened slightly (2 to 3 minutes). Garnish with cilantro, scallions and sesame seeds. Pad Thai is one of those non-vegan comfort foods that can be converted into a plant-based delight with just a few tweaks. 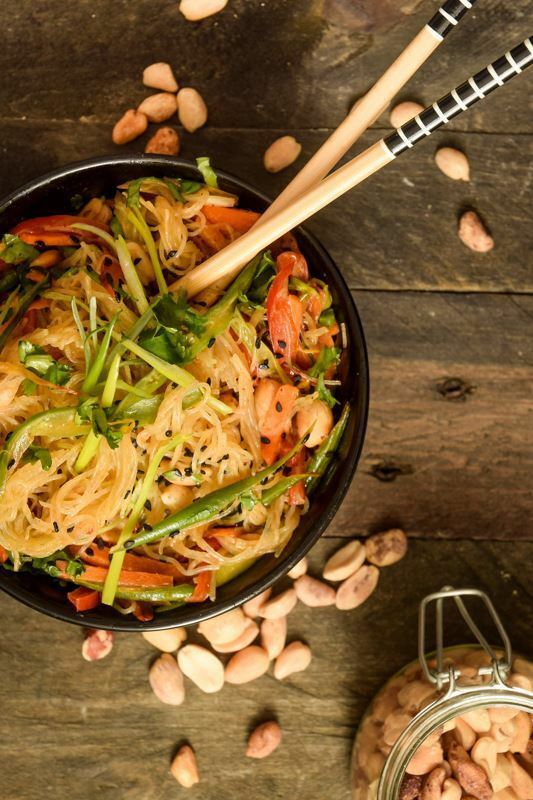 This recipe shows just how simple it is to make vegan Pad Thai. With only fifteen minutes of prep time, it is quick and easy. Use it to satisfy your own cravings, make it for dinner as the new family favorite, or share it with friends at a potluck. Vegans and non-vegans alike are sure to ask for the recipe. They may be surprised to find out that it is not only delicious but also cruelty-free and nutritious. After you try out this recipe, let us know what you think. Did you make it for yourself or a crowd? Was it an instant winner?